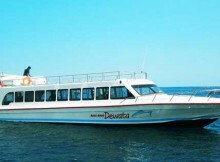 Book Fast Boat Ticket With Best Deals! 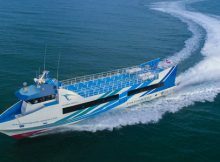 The oldest boat ticket agency covering marine transportation from Bali to Lombok or Bali to Gili Island is the Lombok Fast Boat. The company, which opened for business seven years ago, employs state of the art technology in its day-to-day services, as could be seen on our website. We are a company with a different, because we engage the most qualified professional agents since our inception. It is not surprising that our professional services are acknowledged globally. Known for professionalism, competence, excellence, and high-end services for all clients, we make everything easy and fast for you. 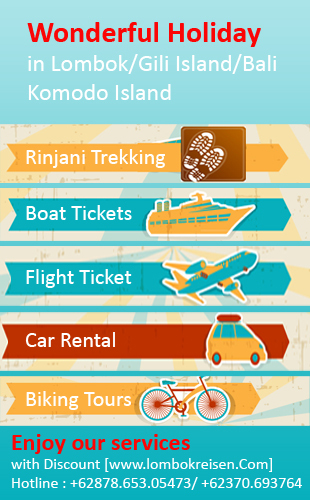 There are a number of ways through which one can travel from Bali to Gili Islands. 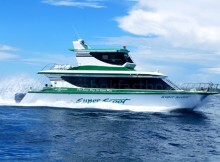 These include fast boats, slow boats, the shuttle bus, flights and transfers. However, the fastest means of travel between the two points is by fast boats. Many fast boats companies have come up over the past years and have made it possible to travel from Padang Bai and Amed in Bali to different parts of the Gili Islands. 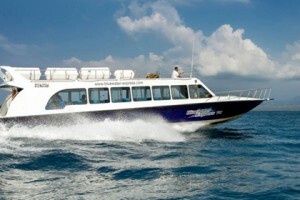 It is, however, recommendable to travel using some of the reputable companies when choosing the fast boats. We are collaborating with the best fast boats that move people and goods from Bali to Gili Islands including Gili Trawangan, Gili Meno and Gili Air. We collaborate with Patagonia Express, Golden Queen Fast Boat, Ganggari Fast Boat, Gili-Gili Fast Boat, Wahana Gili Ocean, Ekajaya Fast Boat, as well as Mahi Mahi Dewata. These cover modern routes such as the Padangbai to Senggigi route, as well as Padangbai to Gili Trawangan and the Gili Air. Apart from the fast boats services, the company covers fast boat with specific routes, one of such includes the Bali to Nusa Lembongan. Scoot Cruise pioneers this new route. We also provide agent services for fast boot covering Amed to Lombok as well as the Gili Islands, which is pioneered by the Kuda Hitam Express. We are collaborating with these fast boat companies to make your marine transportation easy, smooth, and fast. Ticket reservation is hassle free, you do not need to visit any of our offices for any transaction, and this is because we rely on internet technology to transact all businesses. With a simple click of the mouse, we transfer all your information including your ticket to your email address. 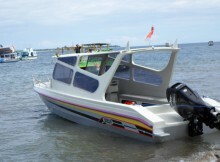 If you want to make the best for your marine transportation, you have to engage the services of Lombok Fast Boat. Our services are exceptional, we posses everything that would make your trip a memorable one. Besides the boat ticket, we can also arrange your holiday with the package, such as fast boat to Gili combined with lombok tour. More information about the package, just contact us ! We use Paypal as our payment getaway to protect and secure your online transaction. Speed Boat Lombok is daily boat transfer from Lombok to Gili Islands (Gili Trawangan, Gili Meno and Gili Air), depart every two hours from Teluk Kodek (Lombok). Mahi-Mahi Dewata Fast Boat supported by professional staff and crews which will give you satisfaction to cross the sea towards your holiday destination. Scoot Fast Cruise offer the fastest and easiest way to get your dreams island, it’s serve sea transfer from Sanur (Bali) to Nusa Lembongan, Lombok and Gili Island (Included Gili Air and Gili Trawangan).